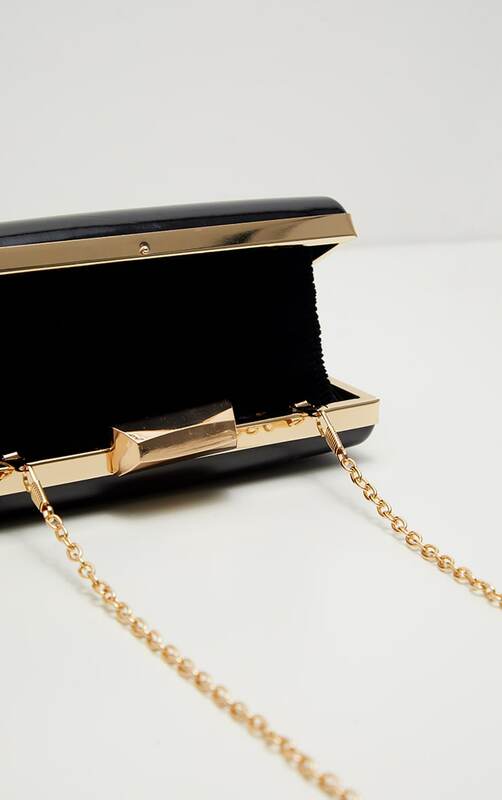 This clutch is an ultimate must-have to add to your bag collection girl. 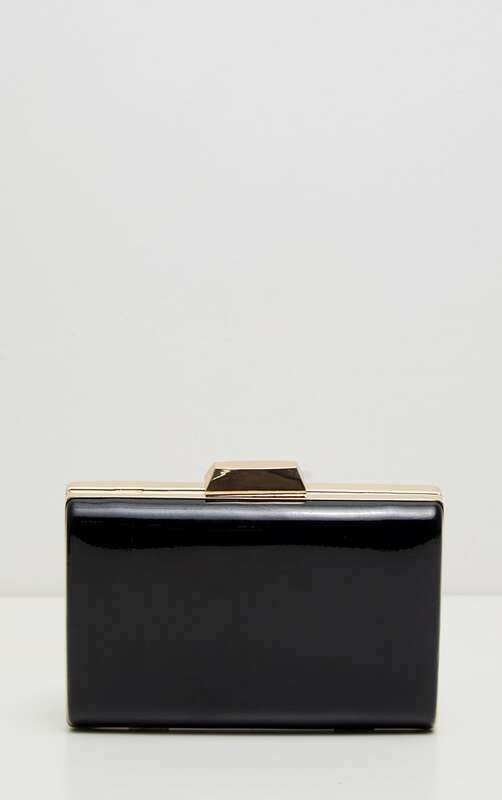 Featuring a black patent material with a clasp fastening and a detachable strap. 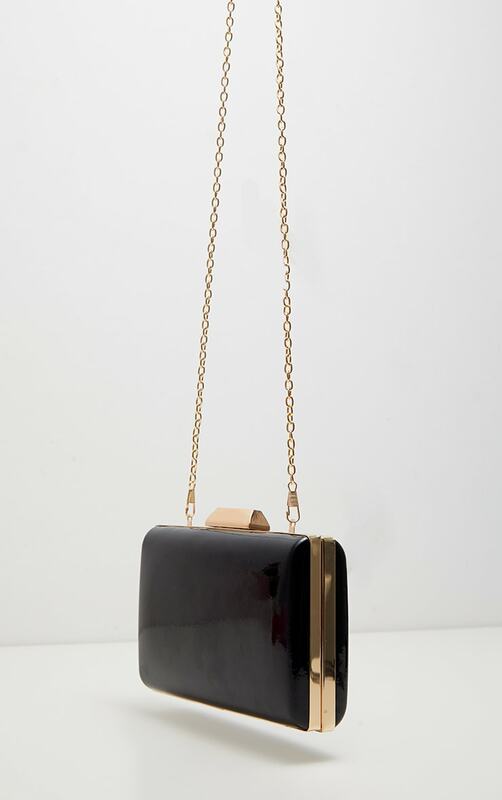 Team this bag with a glitzy dress and sky-high heels for a weekend worthy look.